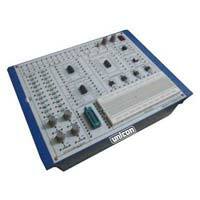 4 LED for output indication. 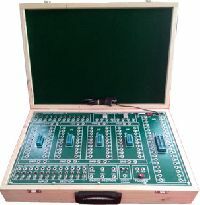 Bread Board of 630 tie points One IC each of 555, 741, LF398, MCT2E, Transistor, Diodes. 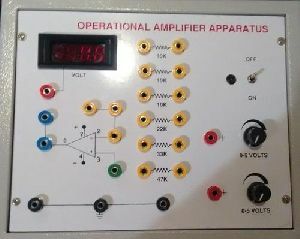 Resistor & Capacitor bank, SPDT Relay, Speaker. 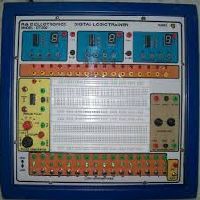 Two 8 Pin Socket, Potentiometers of 1K, 10K 100K Sine, Square and Triangular output waveform from 0-200Khz. 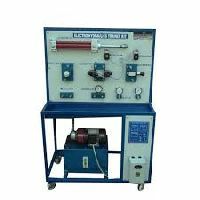 Fixed DC, Variable DC, AC power supply. 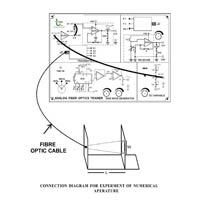 All interconnections are made using 2mm banana Patch cord. 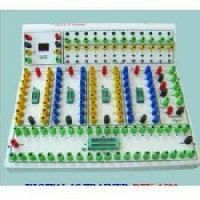 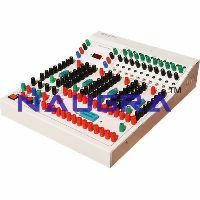 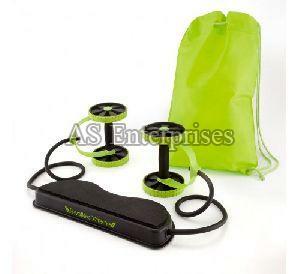 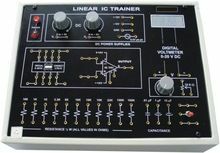 Digital Electronic Trainer Kit, that we offer, is among our most widely demanded Teaching Equipment. 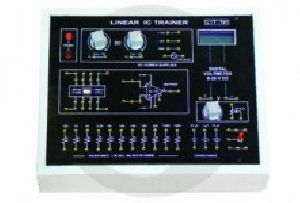 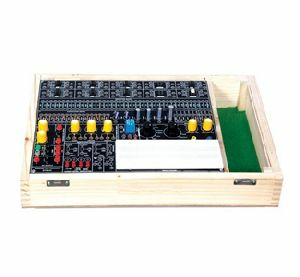 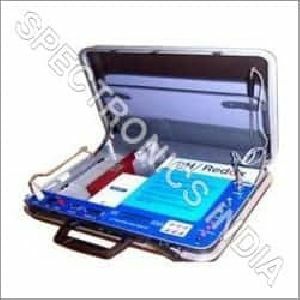 Precision engineered with the latest technology, Digital Electronic Trainer Kit provided by us is well-known for giving high performance. 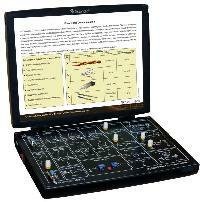 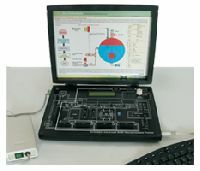 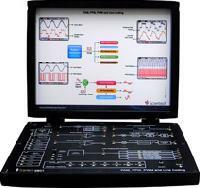 Students can easily understand the concept with this Digital Electronic Trainer Kit. 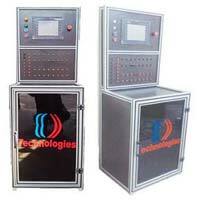 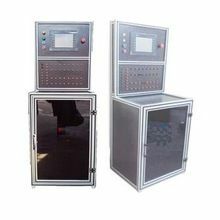 Feature Completely self-contained stand alone unit. 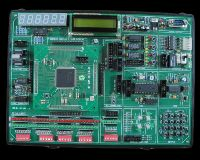 Built in IC based DC regulated power supply. 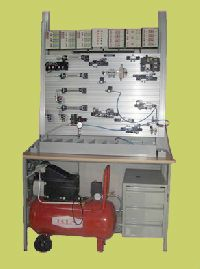 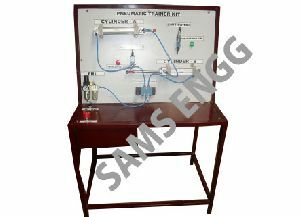 The Hydraulic trainer helps the students to develop their skill practically by operating the trainer kit and enhance their knowledge of the hydraulics. 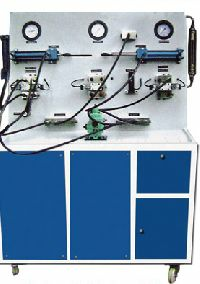 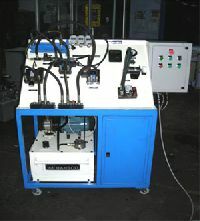 It helps the students to handle the hydraulic systems with confidence. 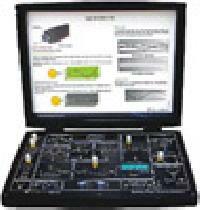 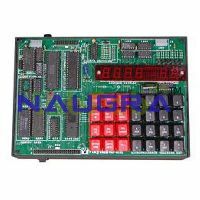 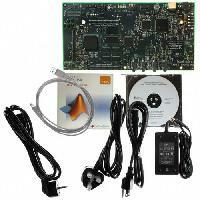 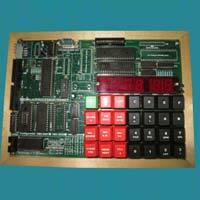 FPGA SPARTAN6 Trainer kit from United Electronics.